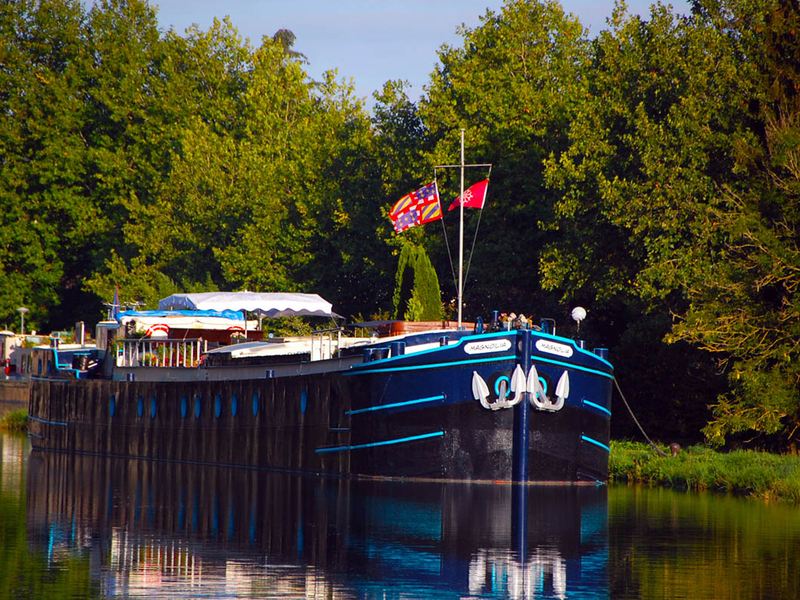 Looking for a hotel barge charter at a truly affordable rate? Congratulations! You need look no further. We can offer you the perfect cruise, right here! and not enough time to unwind, relax and simply ‘be’. 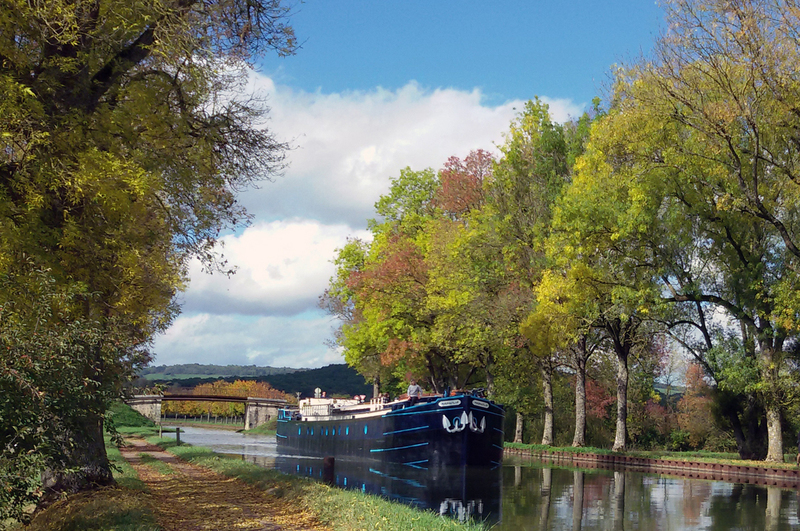 Welcome to the Home & Away cruise, our unique product designed to introduce you to a more relaxed way of exploring Burgundy. It’s the perfect solution for groups of friends and families alike. 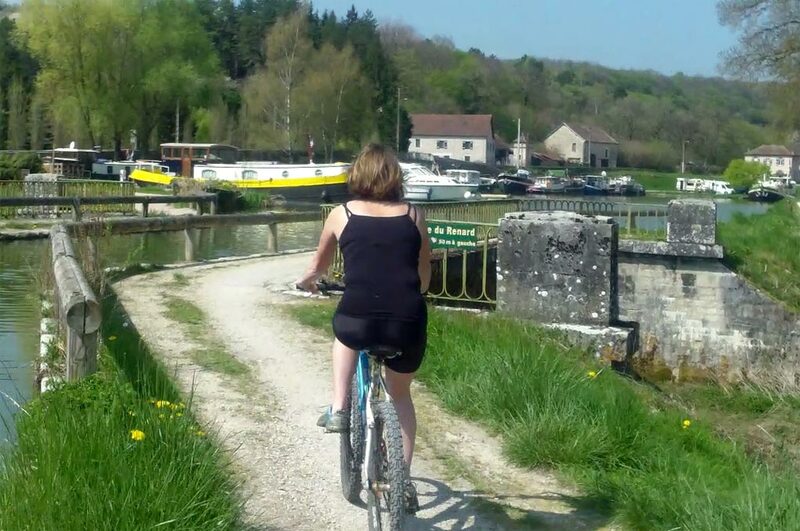 You can take a gentle stroll to explore one of the inviting quaint villages alongside the canal, or take a bicycle ride along the tow path. A spot of fishing? 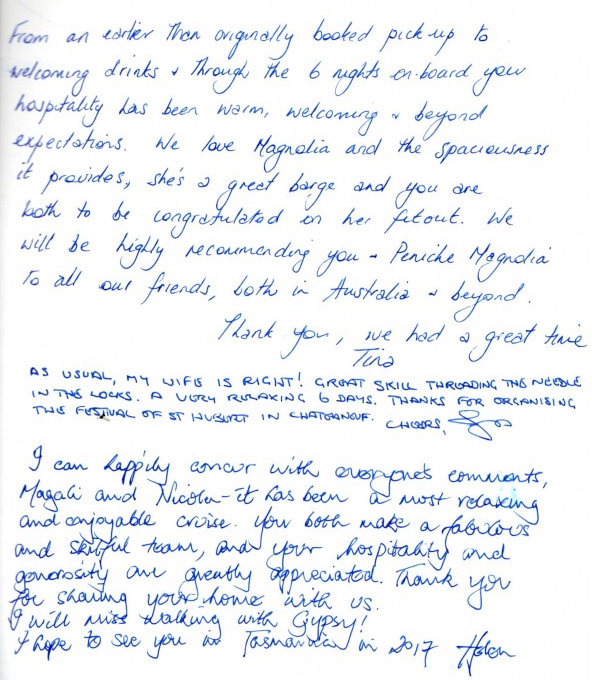 No problem… we’ll be happy to lend you our rods! 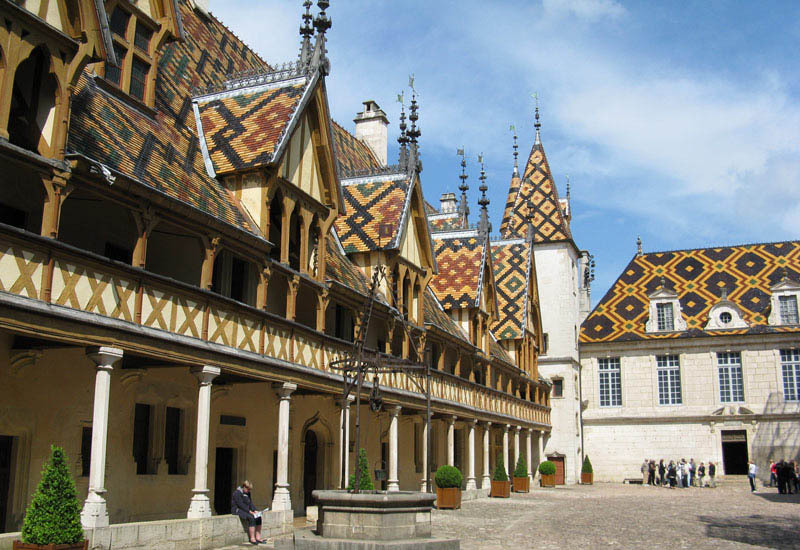 If you’d prefer, we can arrange 5 excursions for you, to include visits to the fascinating Hospice de Beaune, the breath-taking vineyards of the Cote d’Or and the historic town of Dijon, famous for it’s mustard and colourful markets. Time to relax? 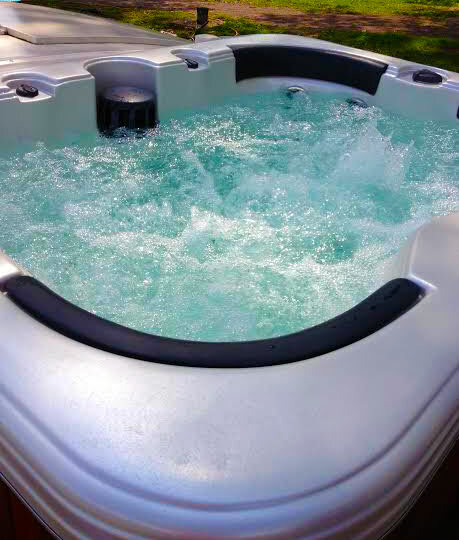 Take a dip in the hot-tub with nothing but peace and quiet for company, or maybe that novel that you’ve been meaning to read, accompanied by a glass of wine or a chilled beer. 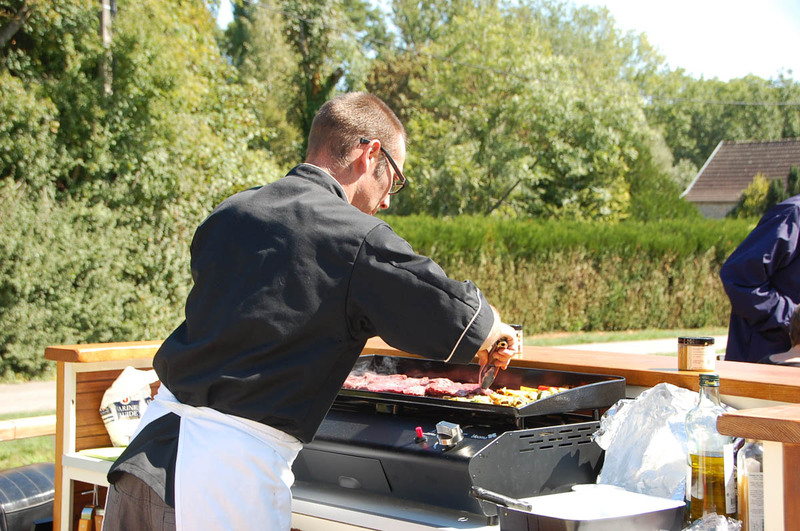 Fancy alfresco today? The sun-deck kitchen is just perfect for lunch with an every changing view as the barge meanders on the historical canal. 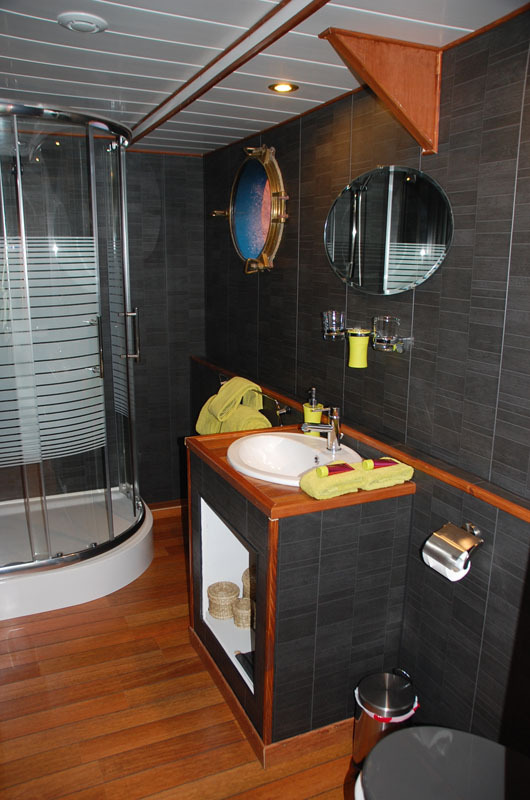 In the evening, why not enjoy a meal in a local bistro or use the professional galley below decks to magic up a fine supper, before retiring for a good night’s in your comfortable cabin. 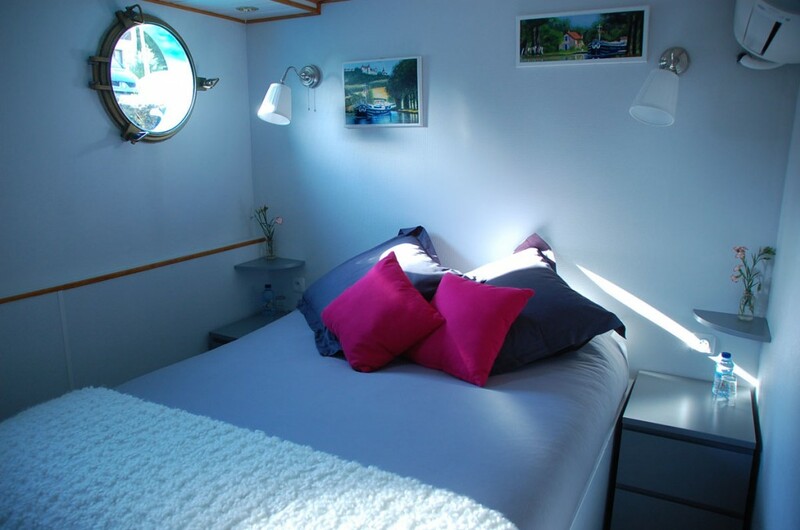 This welcoming barge is exclusively yours’ for 5 days of unforgettable cruising, for 6 whole peaceful nights, on a self-catering basis but with the option of a delicious, freshly prepared continental breakfast each morning if you wish. We really have thought of everything so that you don’t have to! With charters from just 5000€ for up to 6 guests, this really is too good to miss! Contact us today to check availability for your ideal dates.